EVA Foam Guyver Cosplay « Adafruit Industries – Makers, hackers, artists, designers and engineers! 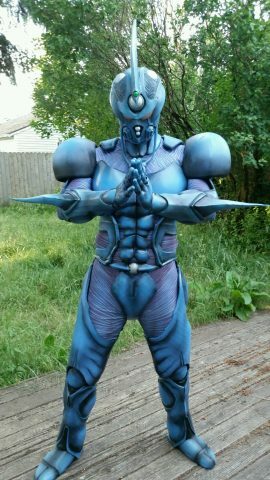 Heard of the manga Guyver? Neither had I until I saw this costume by durp001 on Reddit. It wins in the categories of costumes I’ve never seen before and quality construction. 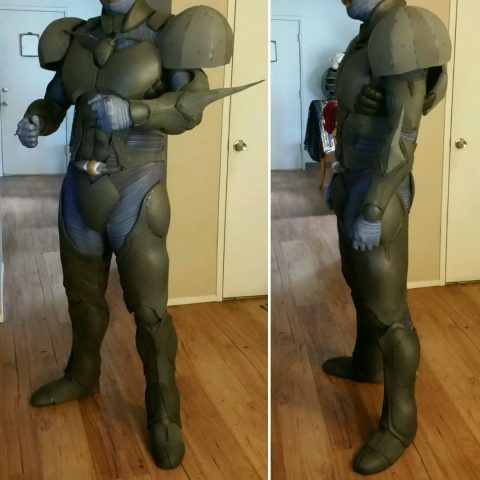 durp001 is an EVA foamsmith and it’s apparent in the finished costume and in in-progress photos. Except for the shoulders, he drafted the armor on his own (he used pepakura files for the shoulders). 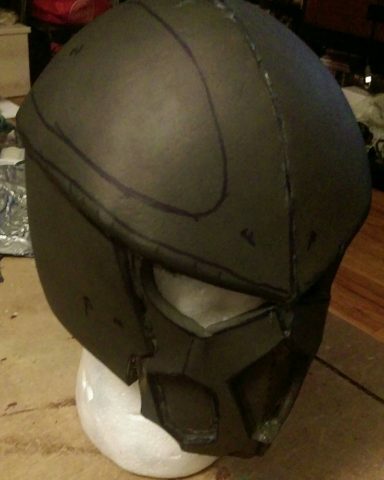 He combined the EVA foam with apoxy sculpt in some places (like the helmet) and incorporated electronics into the helmet to make the eyes light up. You can see them glow in this video. See more pictures on Instagram.